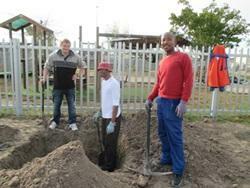 Role: To work alongside a local organization and transform unused land into green parks. You will also help create awareness around community issues. Contributing to Projects Abroad’s Agriculture & Farming Project in South Africa is a way for you to make an impact in one of the oldest and most underprivileged townships in Cape Town. The local community of Nyanga faces a number of social and economic challenges daily, including HIV/AIDS, endemic poverty, and unemployment. 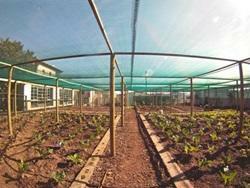 In Cape Town, we are partnering with the Etafeni organization on their Greening Nyanga project. For the project to be successful, as well as sustainable, we need the assistance of volunteers with a passion for helping others and uplifting communities. The goal of the project is to create welcoming spaces that will serve as green parks for children, teenagers, and adults in the community. As a volunteer on this project, you will help create these green spaces in Nyanga by transforming various unused and polluted plots of land throughout the township. You will also get involved with establishing vegetable gardens for vulnerable households. No previous experience is needed to participate and you can join at any time throughout the year. In addition, you can get further involved at the Etafeni organization by working alongside and/or mentoring the local interns and organizing events for significant days, such as Arbor Day. Other tasks at the organization include updating the blog, marketing the program, and possibly helping with fundraising. As the project is located in the Nyanga township, a Projects Abroad driver will transport you to and from the placement. This project is available for less than a month if you don't have time to join us for a month or more. This project has been selected by our local colleagues as being suitable for shorter durations for both the host community and the volunteer. Although you will gain valuable cultural insight and work intensely within the local community please be aware that you may not be able to make the same impact as someone participating for a longer period. All volunteers participating on standard projects in South Africa have the opportunity to spend one week on a Conservation & Environment project at the end of their main placement. For more information, please visit our African Bushveld Conservation & Environment Project in South Africa page. Our Combinations Page explains how you can combine not only projects, but also destinations.